I am actually starting to enjoy cooking for my family when the preparation is relatively quick and easy. 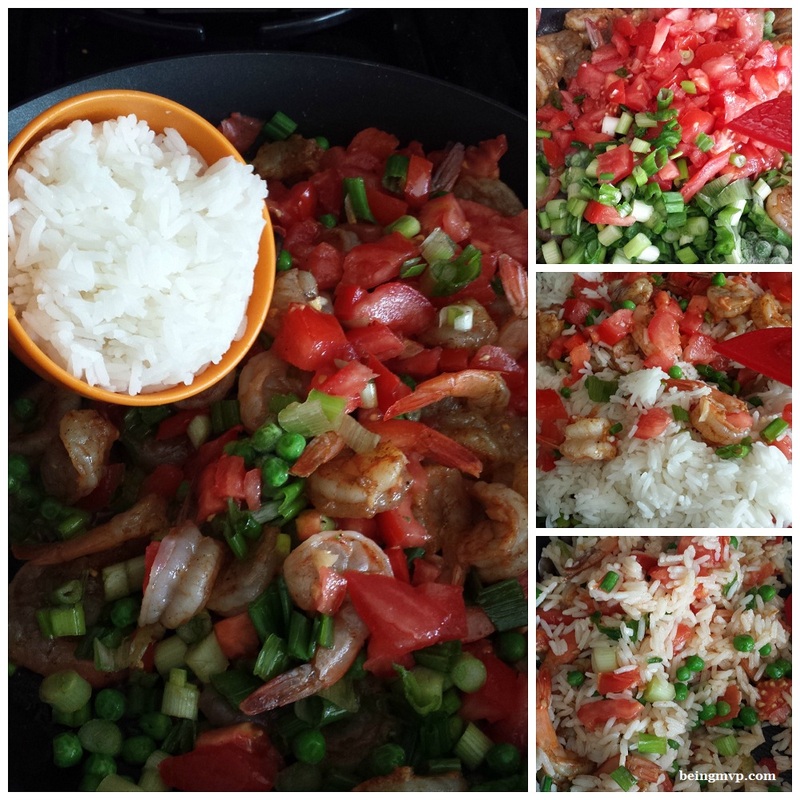 Since Kenzie enjoys shrimp and rice, I wanted to introduce to her palate a little bit of heat with a Cajun recipe from my coworker who makes it often for her boyfriend. 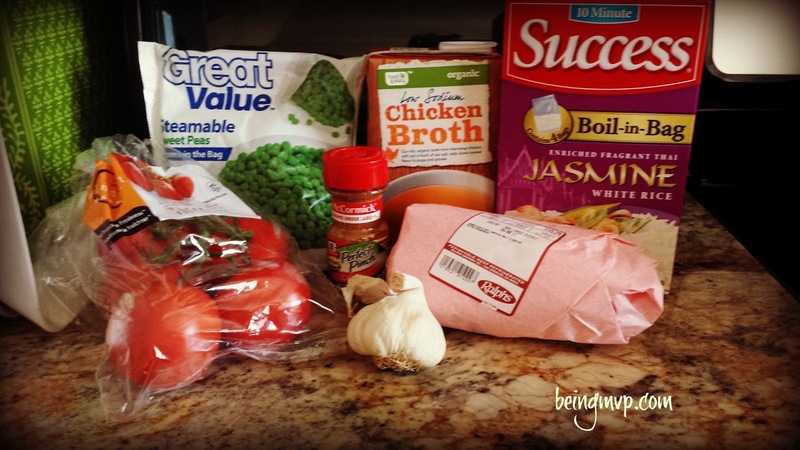 I picked up some Success® Basmati Rice to change up our rice routine and it was a breeze to make. It can be made both in the microwave or on top of the range but I opted for the range option. Just pour 1 quart of water into a medium saucepan and submerge 1 bag of rice. Bring the water to a boil and boil uncovered for about 8-10 minutes. Immediately remove the bag and drain Tear the bag at notch and it's ready. How easy is that - no mess, no measure and ready to eat in 10 minutes. 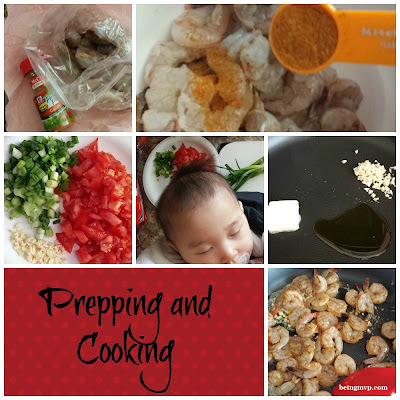 Add Cajun seasoning to the shrimp and let it sit in the fridge for about 20-30 minutes to marinate. Heat the butter, olive oil and garlic in a skillet on medium heat. Add shrimp, season with salt and pepper and cook for about 1-2 minutes. Add tomatoes, green onion and peas and cook for 1-2 minutes. Add rice and chicken stock. Cook rice and shrimp until fully cooked - about 3-4 minutes. Garnish with lemon juice and parsley. The Success® Basmati Rice is an aromatic, long grain rice that stays separate and fluffy when cooked. This is atypical of our traditional rice but was nonetheless delicious in this recipe and Kenzie enjoyed herself. I even gave some to my inlaws and my mother-in-law has now declared Success® Rice the perfect companion to our BBQ's haha. 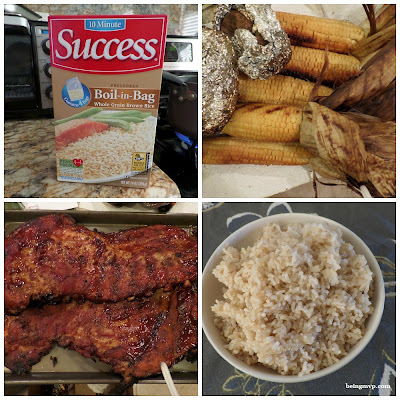 I also cooked up the Success® Brown Rice as a side to a dinner of ribs and it was ready in a flash plus it provided a nice, nutty taste that went well with dinner. With 4 varieties available including: Success® Whole Grain Brown Rice and Success® White Rice, and globally-inspired aromatic varieties of Success® Rice, including fragrant Thai Jasmine or Basmati Rice, there's a variety everyone in your family will love. 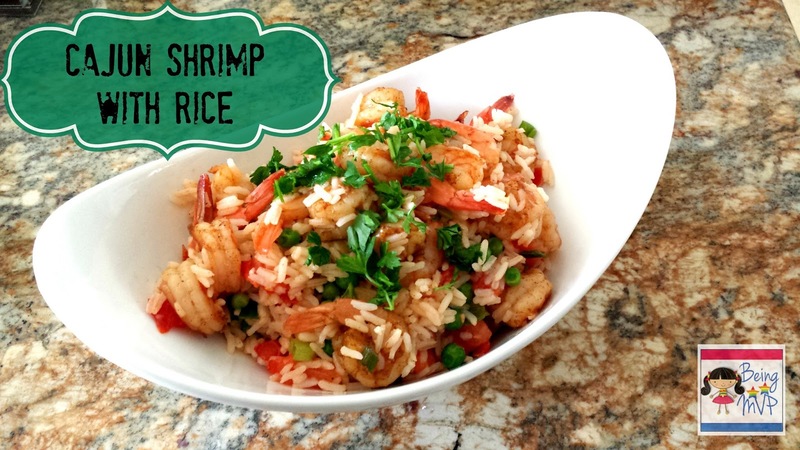 Try your own twist on one of your favorite recipes by swapping an aromatic variety into some of your go-to rice dishes. To accommodate various households, Success® Whole Grain Brown Rice and Success® White Rice comes in two different sizes - 14 oz. or 32 oz. Visit www.successrice.com for quick and easy recipes for any day of the week. Make sure to connect with Success® Rice on Facebook for more recipes and lifestyle tips to make mealtimes easier! Wow looks and sounds really yummy! Thanks for sharing your recipe. This looks amazing! Nice job! This looks so delicious I haven't had shrimp in a long time. I can't wait to make this! I too haven't had Shrimp in a long time. What a delicious recipe! I'm so tired of eating the same things over and over. I'll give this a try! this looks delicious and easy to make! 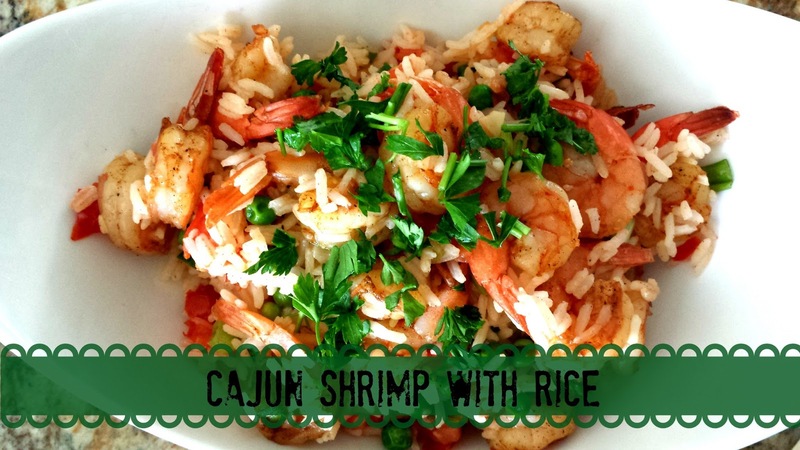 id love to try a new cajun dish.. I made this the other night and it was exquisite! Loved it so much! Thanks for the recipe. Thank you for the recipe. This sounds scrumptious. Great recipe for sure! It's a Pinner! This looks easy, light, and tasty - perfect for dinner this week. I think it'd be easy to switch up the proteins, too. Thanks for the recipe! This looks delicious, I can't wait to make it. And the success rice makes it look so easy to make too.